Shipping freight can eat up more time and money than you expect it to even if you use a regular route with the same crew of truckers and shippers moving cargo day in and day out. That’s one reason why Freight Rate Central has a free online freight shipping rate and quoting system: so you don’t have to spend too much of your own time finding the best quote for your shipping needs. Our instant, automated online quotation system makes finding the lowest freight rate so much easier, and if the information you provide is complete and correct, then the quote will be dependable and accurate. One of the key business practices that keep our freight shipping rates low is that we do business in all 50 states. This way, we can maintain working relationships with trucking and shipping businesses nationwide. 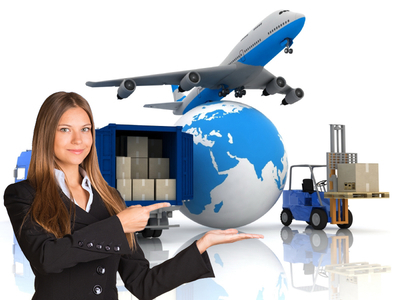 That ensures that we can find the best possible shipping rate for any job that needs to be done. After all, everyone loves repeat business, so by keeping a flow of work going to our partners in shipping, we can ensure that we get competitive and fair pricing. We can even handle international shipping. Freight Rate Central is prepared to assist you with almost any cargo that you need shipped. We can help you find flatbed trailers with or without specialized equipment and features. We can help you find wagons for hauling bulk crops or other loose materials. We can even get you a refrigerated trailer if you need to move temperature sensitive goods. Not only that, but the companies that we work with are staffed with experienced and well-trained truckers and other shipping specialists, so your cargo will be in good hands. Remember that you’ll get the best quote if you know exactly what and how much you have to ship, where it needs to go, and how it needs to be packaged—in what kind of trailer and environmental conditions. Different shipping methods like refrigerated trailers and the various different kinds of flatbed trailers are priced differently depending on how expensive they are to operate. Our quote calculator takes into account the kind of shipping that needs to be done in order to produce an accurate quotation for your freight shipping rates. We can even work with loads that clock in at less than a truckload by moving several smaller loads in one trailer if the need arises. While this service might not sound exciting at first glance, it can prove invaluable when you have an important but relatively small shipment to make or when you have a truckload plus a little. This has proven to be a valuable service to many of our clients; you don’t want to be left with no option but to hire a whole truck that will go mostly unused when your goods could share a trailer with other companies’ shipments. Freight Rate Central is the best way to find top-value trucking and shipping services quickly. Our free and easy to use quote calculator will get you an accurate estimate for your freight shipping rates, and you won’t even have to leave our website. Not only will you be sure to get a competitively priced quote for your shipment, saving you a considerable amount of money, but working with us will save you valuable time that would have otherwise been spent searching for a reliable and cost-effective shipping company. Don’t waste time and money. Let Freight Rate Central take care of your shipping needs.